What is the Game Developers Conference? 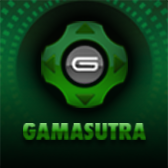 The Game Developers Conference (GDC) is the world's largest professional game industry event. 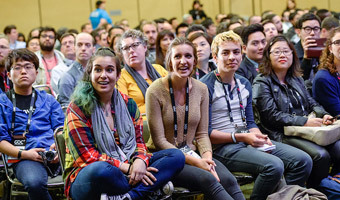 The market-defining GDC Conference features 750 lectures, panels, tutorials and roundtable discussions on a comprehensive selection of game development and VR/AR topics taught by leading industry experts. The GDC Expo showcases the latest game development tools and services from 550 leading technology companies such as Amazon, Google, Intel, Nvidia, Oculus, Sony, and Unreal Engine. Attendees can use GDC Connect business matchmaking to set up meetings and explore new partnerships and business opportunities. GDC attendees can relax, play inventive and innovative games, and meet new people throughout the week at interactive spaces, themed areas for indie games, retro games, alternative controllers, and more. This year marked the debut of the GDC Film Festival, one of the first ever documentary & narrative film fests focused on the art and culture of video games. 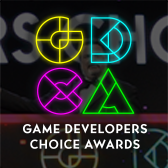 GDC hosts two award ceremonies recognizing the creativity, artistry and technical genius of the finest developers and games. The Game Developers Choice Awards are the leading peer-based video game awards show celebrating the industry’s top games and developers. 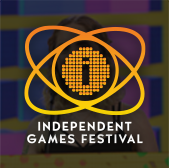 The Independent Games Festival honor the most innovative and exemplary projects in indie game development. The Game Developers Conference began as an informal gathering of 25 developers in the living room of a notable game designer. Initially focused on computer games, GDC has grown and diversified along with the game industry to include a variety of platforms including consoles, mobile & handheld devices, tablets, online, and computer games and is expanding into the emerging VR and AR space for games and entertainment. In 2016, GDC commemorated the 30th edition of the conference. From year to year, GDC continues to define market innovations and provide insight into the future of games. The GDC Advisory Board is made up of seasoned game and VR/AR industry professionals that volunteer their time every year to help construct the GDC conference program and sessions. Advisors work to ensure that GDC content is compelling, relevant, and timely and their dedication is critical to the success of the conference. Read about the extraordinary members of the GDC Advisory Board.